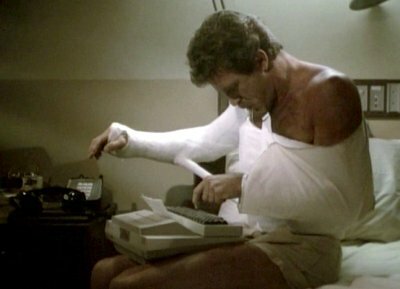 Magnum is in hospital after a hang-gliding accident. Rick bails an old friend Waldo out of jail after he is arrested for breaking and entering. Waldo claims he is now an insurance fraud investigator who suspects a valuable figurine that has been reported stolen remains in the house. 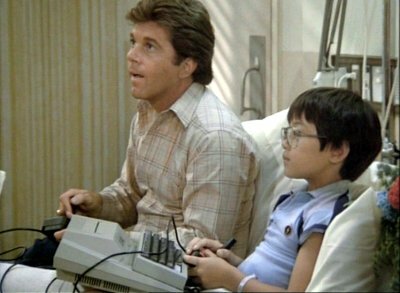 A child in the hospital ward next to Magnum has an Atari 400 (with an aftermarket keyboard) on which he plays games. 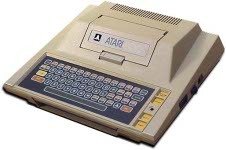 He later helps Magnum confirm Waldo's identity using the 400 and a modem. The game-playing is pretty accurate but the rest certainly is not.